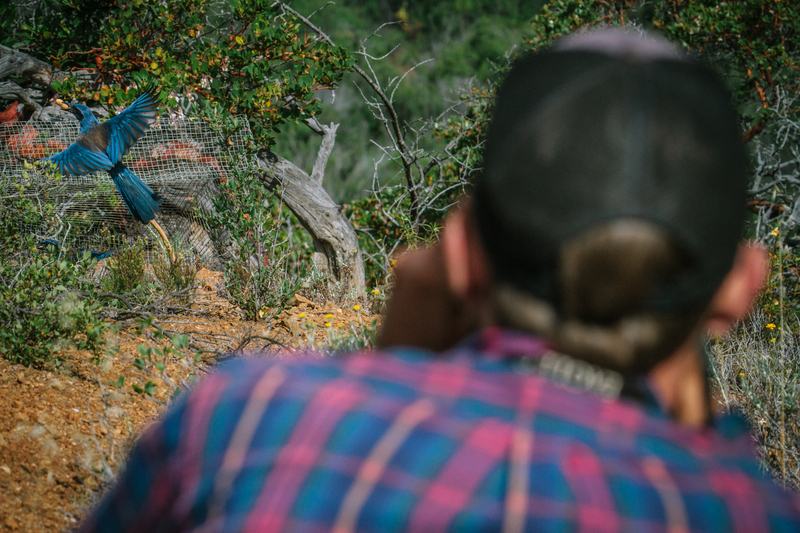 Catching an island scrub jay requires no shortage of trickery and patience. The team treats scrub jays to a favorite snack, peanuts, and waits for the jays to venture into a box propped by a stick. The birds seem to know what’s up, and will dance around the box with a watchful eye. With a quick tug of a string, crew lead Michael Hague, traps the bold jay and processes the bird before releasing it back to the wild.